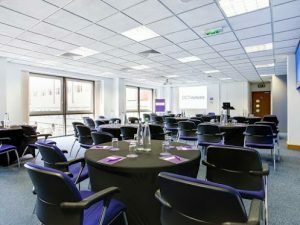 CCT Venues Barbican is located in the heart of London, next door to Barbican tube and close to hotels and restaurants. There are a good selection of Air BnB properties nearby too. Free teas and coffee is provided throughout the day and complementary sparkling and still water is availible in the training room. A healthy cooked lunch is provided along with a continental breakfast to start your training off right. Tom is a passionate and energetic Agile Coach, Professional Coach, and Certified Scrum and Kanban Trainer with over 30 years’ experience working within IT and has focused on Agile ways of working since 2007.